The turnover rate for Illinois school board members in the 2015 election was 22.1 percent, just below the 2013 election turnover rate and slightly below the turnover rate at most biennial elections over the past 20 years. 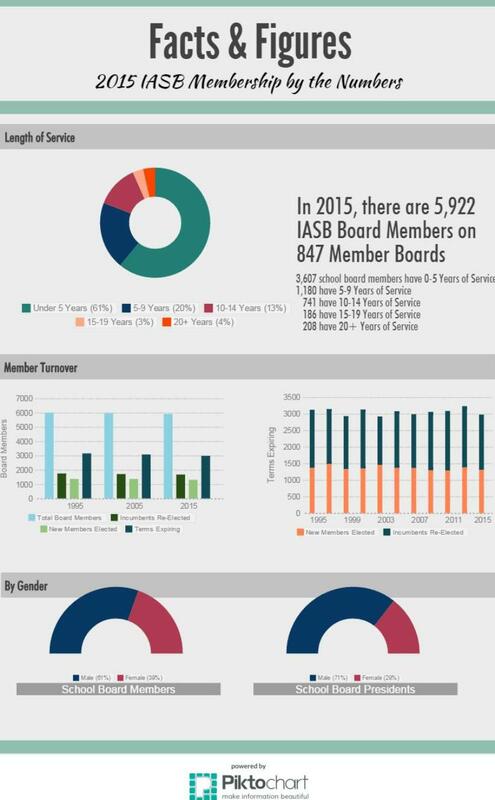 The turnover rate has averaged 22.9 percent over those two decades, based on data from IASB member boards. 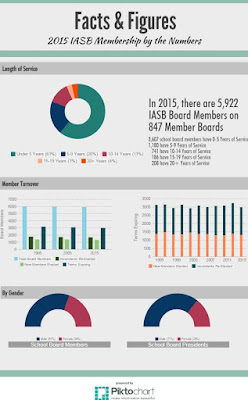 IASB membership records also indicate 1,310 new members filled school board seats in 2015, out of a total of 5,922 board seats. This is not much changed from the last school board election in 2013, when 1,383 new board members were seated, out of a total of 5,932 available positions. Turnover rates among Illinois school board members over the past 20 years has ranged from a low of 21.7 percent in 2011, when just 1,288, new members were elected, to a high turnover rate of 24.6 percent in 1997, when 1,489 new members were elected. Over the past 10 years the turnover rate for school board members has hovered within a range of about 22 percent to 25 percent, the same as the decade before. A significant source of board turnover typically comes from incumbents who decide not to run again. The school board election this year saw fewer incumbents reelected than last time, with 1,677 returned to office compared to 1,850 returned to office in 2013; the number reelected was also less than at any similar election since 2007, when 1,625 incumbent were reelected. “This seems to suggest voters are satisfied with most of the incumbents in school board races, just as in recent years, with well over half being re-elected despite many choosing not to run again,” said Ben Schwarm, IASB’s Associate Executive Director for Advocacy and Governmental Relations. The newly released numbers, showing details for this year and for the past 20 years in biennial elections, are available on the IASB website here. The nominating committee for the IASB Board of Directors has slated Phil Pritzker of Wheeling CCSD 21 as president and Joanne Osmond, Lake Villa CCSD 41, as vice president. Association officers will be voted upon during the Delegate Assembly at the Joint Annual Conference in November. Pritzker is in his 27th year of local board service. He was appointed to the Wheeling Board of Education in July 1989 and elected in November 1989 and six times since. He has served as board president and vice president and has chaired the district finance committee since its inception in 2003. 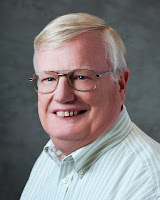 He joined IASB division leadership as a director-at-large in the North Cook Division in 1995. He was division chair for 12 years before becoming director in 2009. Pritzker has served for nearly two years as vice president of the IASB board and as chair of the Resolutions Committee. “I have come to understand that regardless of where we come from in terms of public education – rural, semi-rural, urban, or suburban – that we all have important experiences that we have shared with our local communities,” Pritzker said. Pritzker has worked in real estate and property management for 29 years. He and his wife, Sue, have five daughters and nine grandchildren. He studied secondary education at Bradley University before his business career. Osmond served on the Antioch Community High school board from 1991 to 1995. Since 1995, she has been a member of the Lake Villa elementary school board. She has served since 2007 on the Special Education District of Lake County Governing and Executive Board. 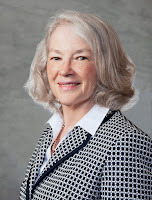 Osmond has been a Lake Division officer for IASB since 1996, serving as chair and director. 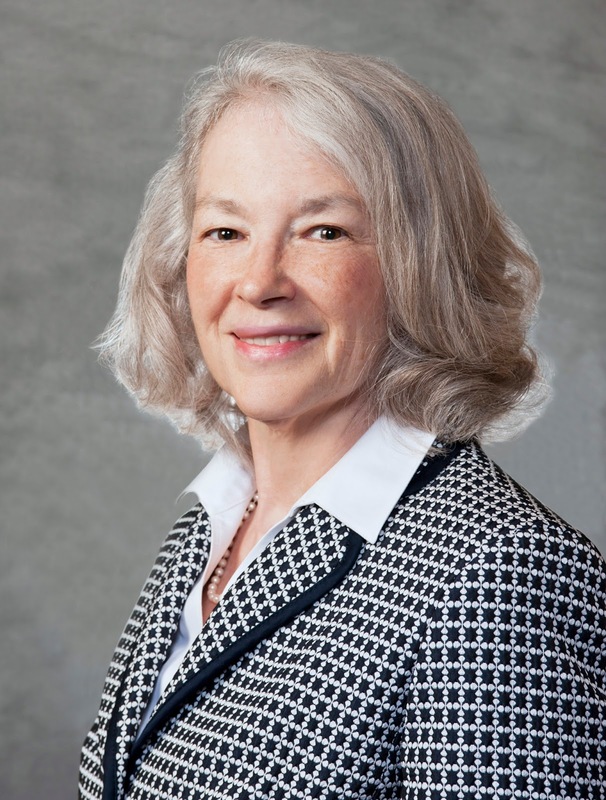 Along with serving on the Association’s Executive Committee, she has been Illinois delegate to NSBA, conference co-chair, and a member of the policy subcommittee and the executive director selection subcommittee. She brings “a passion for policy” and expertise in technology to her role. Osmond is a small business development advisor and program developer and an entrepreneur. She and her husband Glen “Bud” Osmond have five children and six grandchildren. The nominating committee, which met in August, is chaired by IASB Immediate Past President Carolyne Brooks and includes directors Roger Pfister (Shawnee division), Sue McCance (Western), Mary Stith (Kishwaukee), Dave Barton (Two Rivers), and alternate John Metzger (Egyptian). 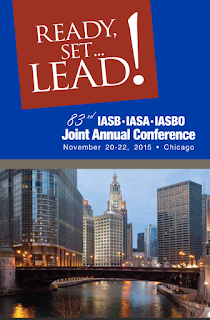 The Association leaders elected by school board delegates will assume office at the close of the annual meeting of IASB’s Delegate Assembly on Nov. 21. 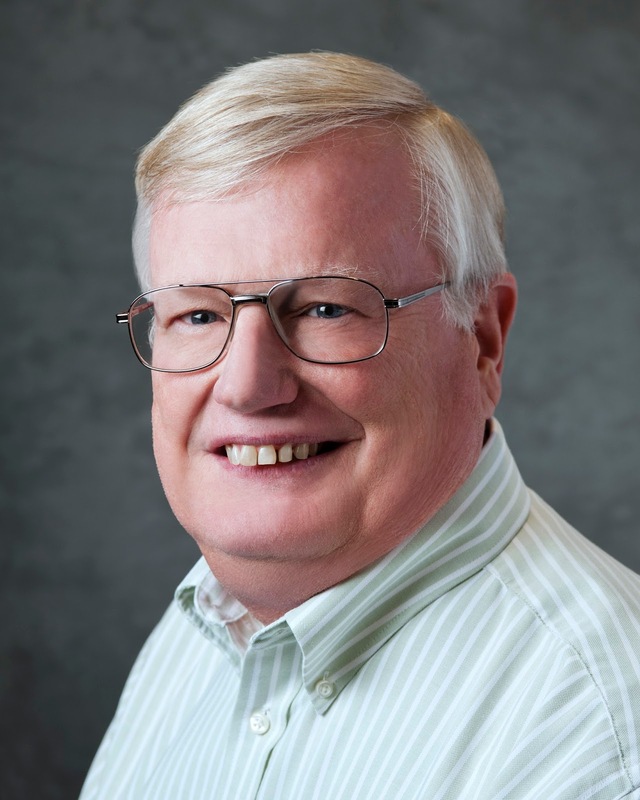 There is still time to nominate local school board presidents for the Thomas Lay Burroughs Award, which is given annually to the state’s outstanding school board president. The deadline for the Illinois State Board of Education to receive nominations is Oct. 9, 2015. Created in 1991 in memory of the late ISBE chairman, the award is presented each November at the Joint Annual Conference of IASB, IASA and IASBO. This year’s conference will be held on Nov. 20-22, and the award will be presented on Sunday, Nov. 22. • Leadership in resolving a crisis or major difficulty. Leadership is defined by the award criteria as including group skills, such as consensus-building proficiency and teamwork, as well as individual traits such as vision, courage, integrity, etc. School districts fortunate enough to have a board president who has provided outstanding leadership in one or all of these areas are encouraged to nominate him or her for the 2015 Burroughs Award. Anyone who has served as president of a local school board in 2015 is eligible for consideration, including those who might have been nominated in prior years. Nominations should be submitted to Katherine Galloway, via email at: kgallowa@isbe.net. Indicate Burroughs Nomination as the subject. For more information, including award details, and the format for nominations, visit ISBE's Burroughs Award website. 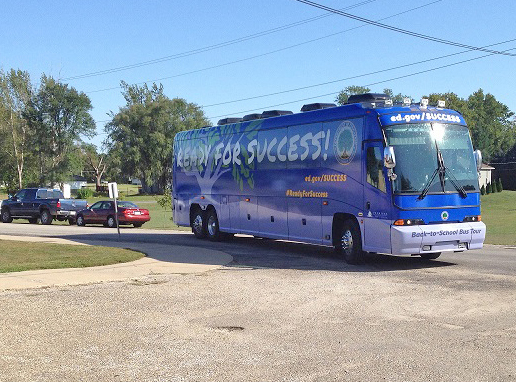 Two Illinois communities received visits from U.S. Secretary of Education Arne Duncan on his sixth annual back-to-school bus tour, dubbed “Ready for Success.” Duncan stopped by Williamsfield CUSD 210 on Tuesday, September 15 and then made his way over to the University of Illinois in Champaign-Urbana on Wednesday, September 16. The "Ready for Success!" bus pulls into Williamsfield. Tuesday’s stop highlighted the small, rural district’s move away from textbooks, focusing capital on technology infrastructure and utilizing high-quality, openly licensed digital education resources. The Illinois State Board of Education has released preliminary data from the first implementation of PARCC (Partnership for Assessment of Readiness for College and Careers) testing. As expected, the results show that collectively, Illinois students were challenged by the tougher PARCC standards. The preliminary data is state-level only – not district, school or student-level. The one-page of results reflects only students who took the assessment online. “This is a new baseline,” said Illinois Superintendent of Education Tony Smith, cautioning against comparing PARCC test results to previous tests, such as the ISAT. Registration for SupportCon South (previously known as the Educational Support Professionals Conference) is still open for school support staff looking to further develop their skills in today’s constantly changing educational environment. The September 21 event will take place at the Bloomington-Normal Marriot Hotel and Conference Center beginning at 8 a.m.
SupportCon South kicks off with General Session speaker Mary Byers' “Unlock the Power of Questionology” presentation that focuses on the influence of asking the right questions. 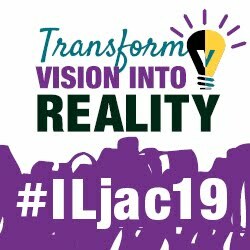 A full day of professional development opportunities for educational support staff will also offer four morning and four afternoon hour-long breakout sessions. IASB, the Illinois Association of School Business Officials (Illinois ASBO), and the Illinois Association of School Administrators developed the programming to specifically cater to the range of work performed by support professionals. Speakers from all three associations, as well as legal and financial experts, will be on hand to answer questions and guide discussion. 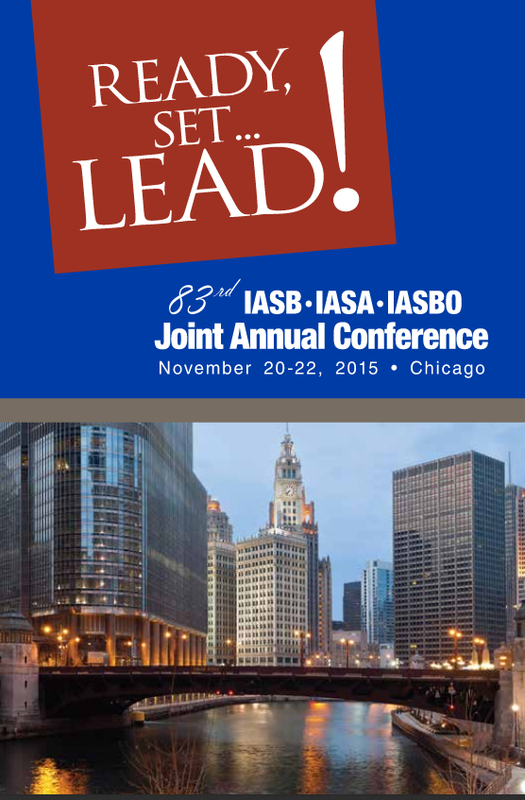 Registration for the event is available at the Illinois ASBO website. The Illinois Council of School Attorneys (ICSA) has updated the Guide to Illinois Statutes Affecting Schools, which serves as a reference to Illinois statutes that are not listed in the School Code but affect school districts. Information about the 2015 Guide and access to the PDF are available on the IASB website. The Guide was prepared by a committee of ICSA and references statutes in force as of January 1, 2015. The booklet is divided by section, based upon whom or what each statute may impact. These categories include board of education, students and parents, property and contracts, litigation, financial affairs, employees, and elections. The document touches on laws ranging from the Freedom of Information Act (FOIA) and the Open Meetings Act (OMA) to governmental ethics and the Election Code, among others. The Guide to Illinois Statutes Affecting Schools is not intended to be a list of every state statute that might relate to a school law problem. Instead, it should be viewed is a guidance document intended to act as a “point of beginning” by providing brief descriptions of some state laws important to Illinois schools. The full PDF can be downloaded here. 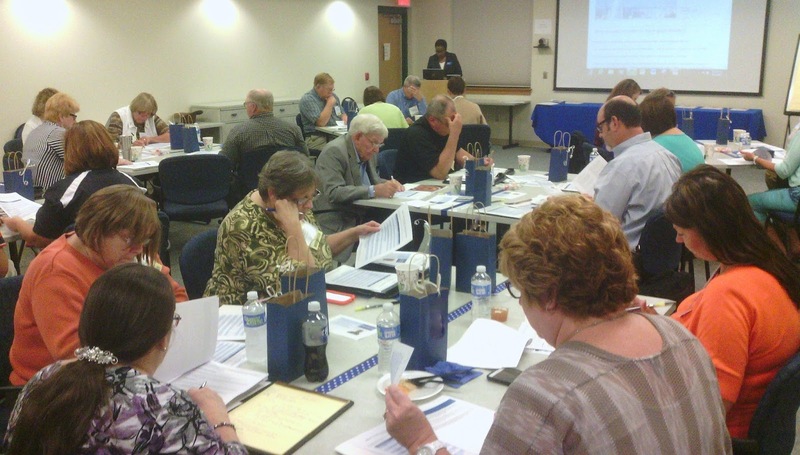 The Illinois Association of School Boards recently welcomed several new members to its Board of Directors. Thomas Ruggio, Mark Christ, and Dennis Inboden joined the board in the spring, while Carla Joiner-Herrod, David Rockwell, and Denis Ryan attended their first meetings as division directors in August. David Rockwell represents the Blackhawk Division. He is currently serving his third term with the Rock Island/Milan SD 41 Board of Education. A resident of Rock Island, he is retired from a family-owned furniture store and works in administration at a law firm in Moline. Saying he prides himself on being “informed and open-minded,” Rockwell is looking forward to the challenge of directing the Blackhawk Division. Emergency and interrupted days must be submitted through ISBE’s online IWAS system to the regional office of education for approval. The submission of interrupted days requires the inclusion of student attendance time and a brief explanation of why the day was interrupted. The state board also has informed school districts that the previous policy prohibiting districts from pre-announcing interrupted or delayed start days has been removed. A guidance document on the various options is available at the ISBE website. During ISBE’s August meeting, the agency’s board agreed to enter into a “college entrance exam” contract at a cost of approximately $6.8 million per year to provide the testing for Illinois high school students. 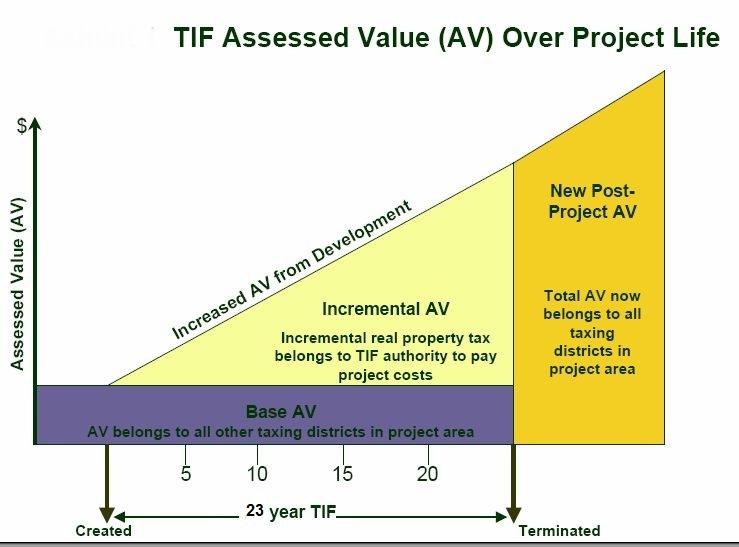 It is still not determined; however, what amount of money will be available from the state to spend on the exams as the assessment portion of the budget has not been finalized. In a recent Daily Herald news article, ISBE spokesman Matt Vanover said the board took action on the contract so it “can award a contract to a successful bidder as soon as we receive money to do so.” This will allow for the tests to be ready in time for spring. From 2001 to 2014, the ACT exam was included as part of mandatory testing as a way to ensure disadvantaged students could more easily apply for college. With the shift to testing for the Partnership for Assessment of Readiness for College and Careers (PARCC), the ACT is no longer included in the annual assessment materials. State Superintendent Tony Smith hosted a back-to-school webinar for school administrators on Aug. 5. Superintendent Smith discussed state assessments, supports, and resources available to Illinois districts, and other initiatives, including PARCC, educator evaluations, and the Kindergarten Individual Development survey. The webcast was recorded and is available here. The following are editorials and opinions regarding public education, collected in August 2015. Click on each headline to read more.